This is a guest post from my wife, and co-Guardian ad Litem, Elizabeth Georgian. You can read more about our Guardian ad Litem work in this previous post. In a world that at times seems to grow increasingly uncaring, chaotic, and impossible to change, two sets of teenagers, a century apart, living remarkably different lives, may offer us a path forward. 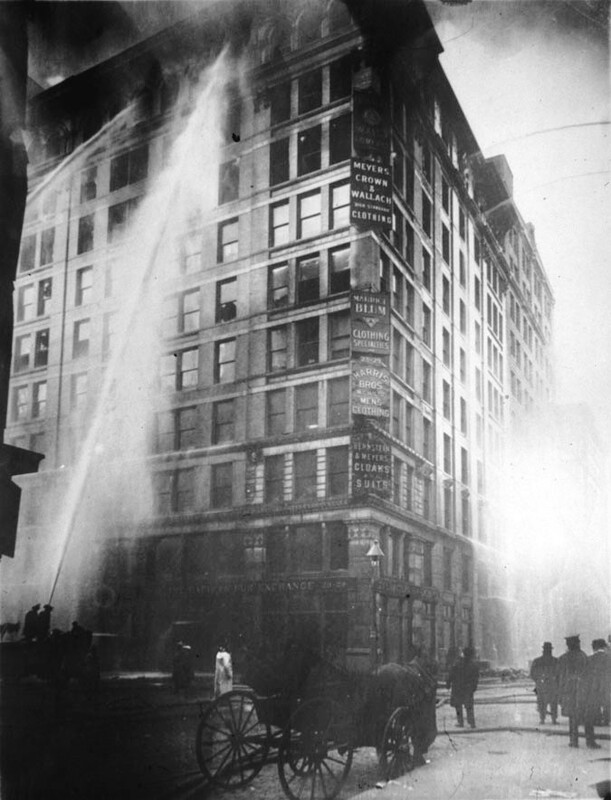 On March 25, 1911, 145 textile workers perished in the Triangle Shirtwaist Factory fire. They died of smoke inhalation, flames, or from injuries sustained as they leapt down the elevator shaft or out of the ninth story windows. The factory owners had locked these young, largely immigrant women in their building so they could inspect their bags as they left and on that day no one remembered to free them. Two years earlier, the Triangle Shirtwaist factory workers had gone on strike, as part of a larger effort on the part of textile workers across New York city. As these young women picketed, marched, and struck, police beat them, with the approval of many bystanders. The media paid little attention, except when a small number of wealthy women joined them in their protests. Few non-working class New Yorkers cared that the children spent their days in factories not schools, immigrants lived in dire poverty, and working conditions were hazardous. It was only in death that they became human. Newspapers, public officials, the wider world had begun to attach names to these Triangle workers by then: Rosie Bassino and her sister Irene; Max Lehrer and his brother Sam; Mary Goldstein; the Saracino sisters; Michela Marciano, who had survived an eruption of Mt. Vesuvius before emigrating to America; Rose Manofsky, whose little sister had lost her sole source of support; and Salvatore Maltese, who had buried every female in his household: his wife Catherine, his 20-year old daughter Lucia and his daughter Rosaria, who was – at 14 – the fire’s youngest victim. Apathy and even hostility towards the labor movement finally changed to outrage, support, and eventually significant reform as these invisible women suddenly became visible. One hundred years later, the official charge from the family court to Guardian ad Litems charges us with conducting an independent investigation so we can make recommendations to the court. To conduct those investigations, guardians have a right to sit in on all meetings about the teenagers we advocate for, visit their schools, talk to their teachers and doctors, and see where they live and meet with their caregivers. In doing so, I discovered to my amazement, that I have the power to make an invisible child–often poor, neglected or abused, afraid to open-up, justifiably suspicious of the system, and sometimes openly hostile–appear human. All of a sudden an angry school principle stops seeing a defiant, scary teenager in need of expulsion and instead sees a child afraid of the world and in need of help rebuilding trust. Recently, while working with the staff in for-profit group homes, I have stumbled on the power of the language of motherhood. While I don’t actually consider the teenagers we work with children, I use that language, I describe them as my children and myself as their mother, at least figuratively. The effect is polarizing. For a few adults, the reminder that the person they are intent on punishing is a human being and someone’s child makes them angry. But more often than not, that language de-escalates tense situations, helps me refocus conversations around the children’s strengths rather than their perceived failings, and leads us out of confrontation into negotiation or even creative problem solving. Increasingly I see part of my role as showing the teenagers that they don’t have to be invisible. That they have rights that deserve to be respected, needs that deserve to be met, feelings that deserve to be honored. And seeing me stick up for them helps them see themselves as more valuable and also more powerful. Sometimes I am rewarded by watching them learn to successfully advocate for themselves and make a difference in their lives, to see themselves as powerful. Today, the anonymous victims of textile factory fires are still poor women, still invisible, but this time we ignore them because they live in foreign places that most of us have never seen: India, Pakistan, Bangladesh, even while, like New Yorkers, we wear the clothes they make. So who else am I still leaving invisible? Who are you making visible? Very good article. In Spain there are many similar cases due to the Franco regime. Thanks for sharing.